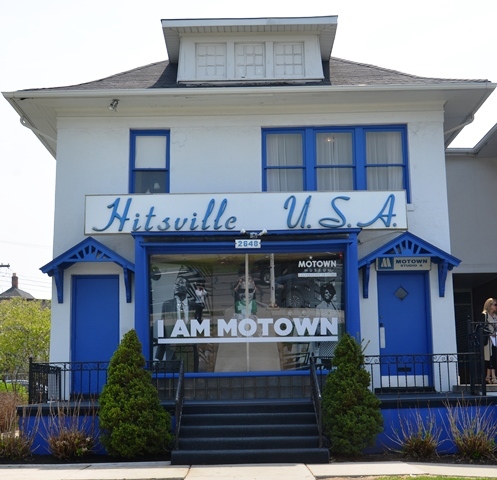 Driving through the streets of Detroit, Michigan, Motor Town (Motown), demands that the radio be a bit louder than normal, and that the music be from Motown’s library of hits that accompanied, at least for me, my childhood. An entirely unassuming building, but talk about a View from the Road, that makes one pull over and feel that ‘oh my’ moment, that the road and radio offer so beautifully, when happily wed; it is hard not to sit there for a few minutes and ponder the genus birthed behind those walls. 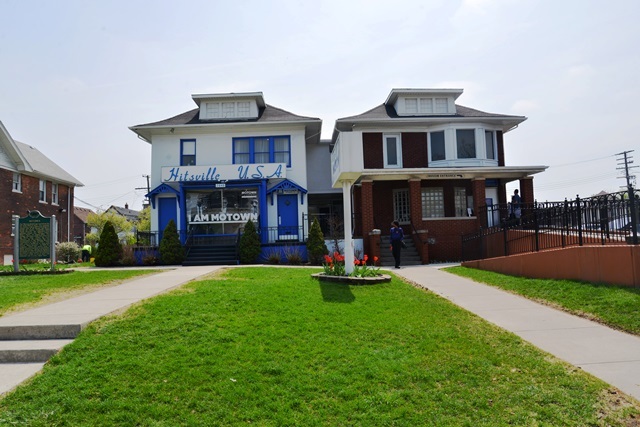 “Above the front windows of Motown Records’ Detroit headquarters was a sign that read “Hitsville U.S.A.” Placed there by Motown founder Berry Gordy soon after his company moved into the modest home at 2648 W. Grand Blvd, the sign demonstrated Gordy’s blazing — and at the time, unearned — arrogance. Then the slogan came true. A former boxer and automobile worker, Berry Gordy was a nascent songwriter when, at the urging of Smokey Robinson, a songwriter ten years younger than Gordy, he decided to establish Motown Records. The two had become friends years earlier and Robinson, who was the lead singer of a band called The Miracles, produced, wrote, and sang several of Motown’s most memorable hits — including the labels’ first smash song, “Shop Around” in 1960. A year later, “Please Mr. Postman,” by The Marvelettes, was the label’s first No. 1 song. It would not be the last. Over the next decade, the sheer number of chart-topping artists, musicians, and groups produced by Motown defied comprehension: Martha and the Vandellas, Smokey Robinson and the Miracles, The Temptations, The Four Tops, Diana Ross and the Supremes, Gladys Knight and the Pips, The Jackson 5, Stevie Wonder, Marvin Gaye. All became part of what would come to be known as the Motown Sound. 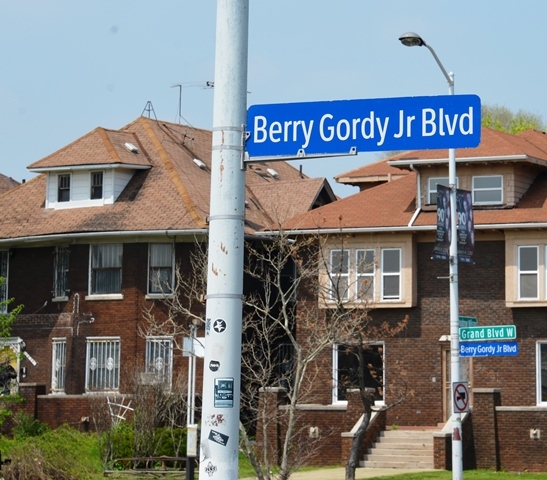 It is rumored that Gordy modeled his hit factory after the Detroit car assembly line that he knew so well: Make a good product, then make something similar, and make it quick. Over here were the songwriters — Robinson and the team of Eddie Holland, Lamont Dozier, and Brian Holland (Holland-Dozier, Holland, or H-D-H). Over there was the talent — Stevie Wonder, whom the label discovered when he was 11; Marvin Gaye, who wanted so much to be a jazz crooner before he came into his own in the late 60’s; and, above all, Diana Ross, whom the label put its stake in early on, and who was told so many times that she was a star that she drove off one of the Supremes before quitting to launch a solo career. In a neglected corner were the session musicians the Funk Brothers, who played on God knows how many hit songs. Let’s just say a lot. 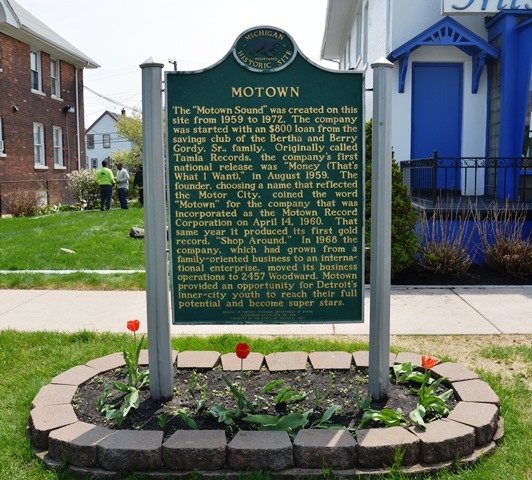 So what was the Motown Sound? Great melodies, lots of tambourines and hand clapping, blaring horns, interplay between the lead singer and his or her backup vocalists, driving bass lines and foot-slapping drum parts. In his still essential Motown history Where Did Our Love Go? Nelson George writes, “Motown chief engineer Mike McClain built a miniscule, tinny-sounding radio designed to approximate the sound of a car radio. The high-end bias of Motown’s recordings can be partially traced to the company’s reliance on this piece of equipment.” They knew people would be listening on their car stereos and on their transistor sets and they were going to do what it took to make their songs sound good and memorable. Even if you couldn’t put your finger on it, when a Motown song came on, you knew it. Throughout the Sixties, Motown produced a catalog of songs that cannot be rivaled. “You’ve Really Got a Hold On Me,” “Heat Wave,” “Dancing in the Street,” “Tracks of My Tears,” “Where Did Our Love Go,” “My Guy,” “My Girl,” “Baby Love,” “Reach Out, I’ll Be There,” “I Can’t Help Myself,” “Get Ready,” “Stop! In the Name of Love,” “The Way You Do the Things You Do,” and so on. They were simple love songs that told simple stories, often in joyously happy or heartbreakingly sad ways. And all the while Motown was the pride of Detroit and the pride of black America (though Gordy tried, with his usual bluster, to make it the “Sound of Young America,” a label he began to stamp on all of the company’s vinyl). Around the time of the ’67 Detroit riots, however, things changed, as they eventually had to. Gordy looked west, towards Los Angeles (how could such a large entertainment company as his not be involved in movies and television?). Dissatisfied with the increasing disconnect between the success of their work and the level of their pay, Holland-Dozier-Holland broke off from Motown. And while the Jackson 5 was on the rise, most of the rock-steady Motown acts of the early ’60s were on the wane. In 1971, though, the label released what is arguably its grandest artistic statement, something not at all of a piece with its previous, poppy output. Marvin Gaye put out What’s Going On, a thoughtful, socially conscious album whose title track Gordy famously called the worst song he had ever heard. A year later, Motown deserted Detroit for L.A. and Stevie Wonder turned 21, thereby taking creative control of his music. Within four years he had released Talking Book, Innervisions, and Songs in the Key of Life. This entry was posted on September 15, 2018 at 12:01 am and is filed under A View from the Road, SlideShow. You can follow any responses to this entry through the RSS 2.0 feed.